The above info came from Big Hamster, and was edited by yours truly (contact me). The image came from Gamekult.com. Baby Vegeta is Baby who managed to control Prince Vegeta's body. He has three forms. The most powerful form is the third form. 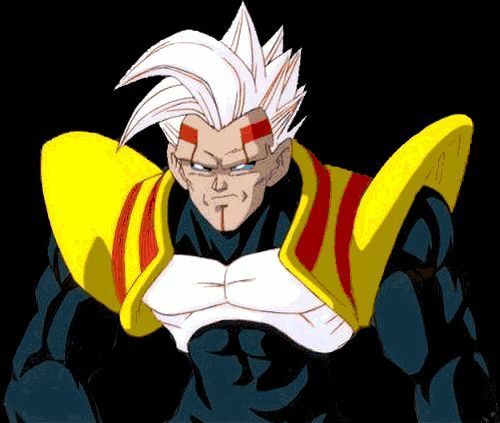 In this form, he throws a Death Ball at Kakarotto in an attempt to kill him. With the help of Bulma, Baby Vegeta reached Oozaru form, but Kakarotto cuts Baby Vegeta's tail and Baby escapes from Vegeta's body and changes back to normal. The above description came from Big Hamster, and was edited by yours truly (contact me).